One of the most popular wedding photos is of the bride and groom cutting their cake. There's something so sweet and romantic about it. 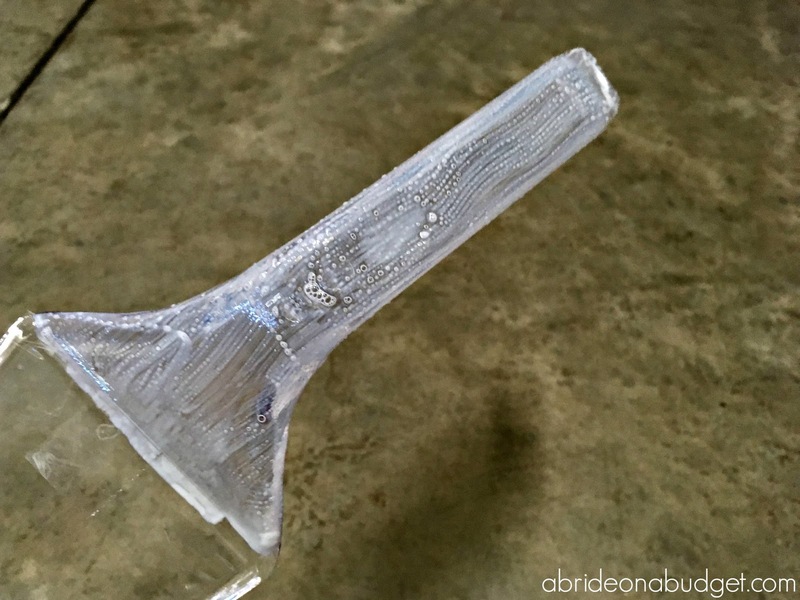 A lot of couples will just use whatever cake cutter set the venue provides. But not us. I actually picked out a set that I loved. You don't have to spend a ton of money on a personalized wedding cake serving set though. 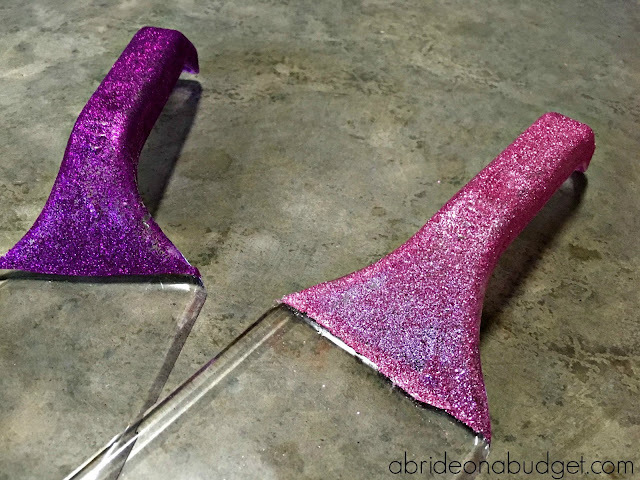 In fact, you can make this DIY Glitter Bridal Cake Server Set. It took a little bit of time and a handful of materials. Actually, I had everything at home already. I picked up the clear plastic cake servers from Dollar Tree. The two utensils came in the same pack, which was great. If you just go and buy those, the entire project will only cost you $1. 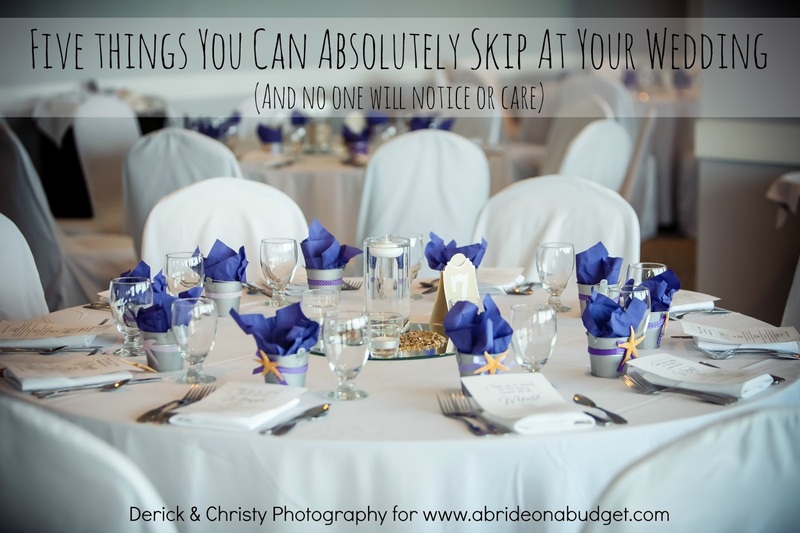 That can definitely fit into your wedding budget. This is a pretty simple project, but it is something that will span over three days if you want to be completely sure it will dry completely. 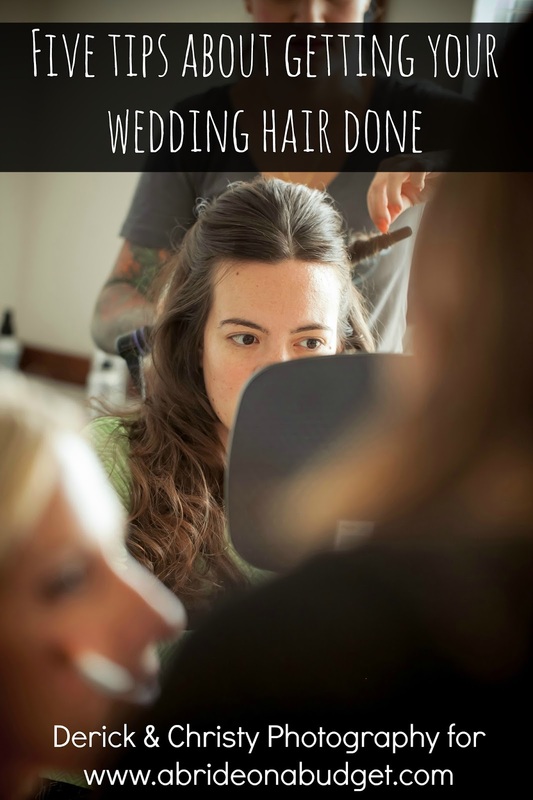 So don't leave it for the night before your wedding. Use a piece of tape to mark off where you want the glitter to go. Personally, I glittered the entire handle of the cake server and cake knife. 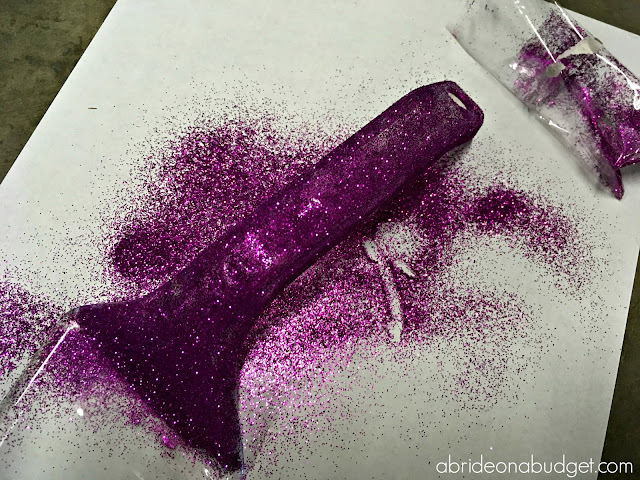 The glitter will be covered with non-toxic Mod Podge, so it will be safe to cut your cake. If you use something else, make sure it is non-toxic. If not, make sure the glitter ends higher so you don't have to worry about it getting on your cake. 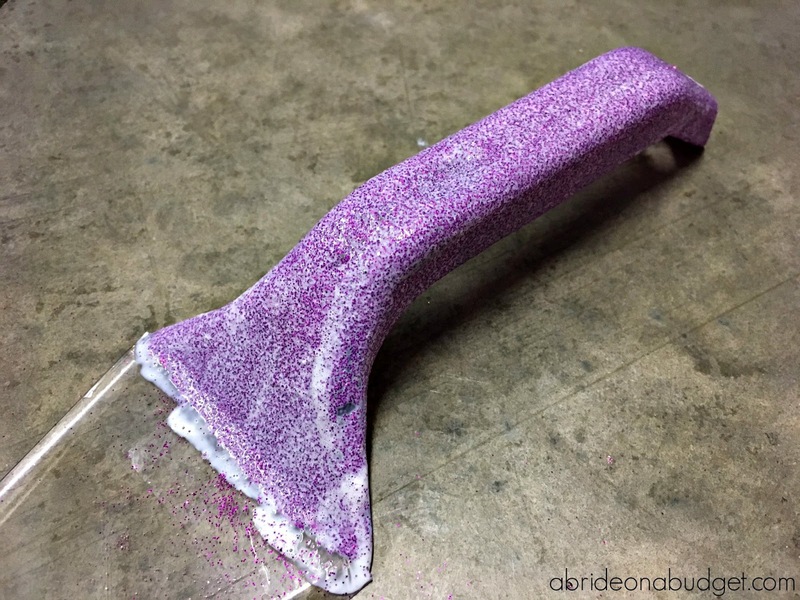 Using the foam brush, paint a layer of Mod Podge along the handle. 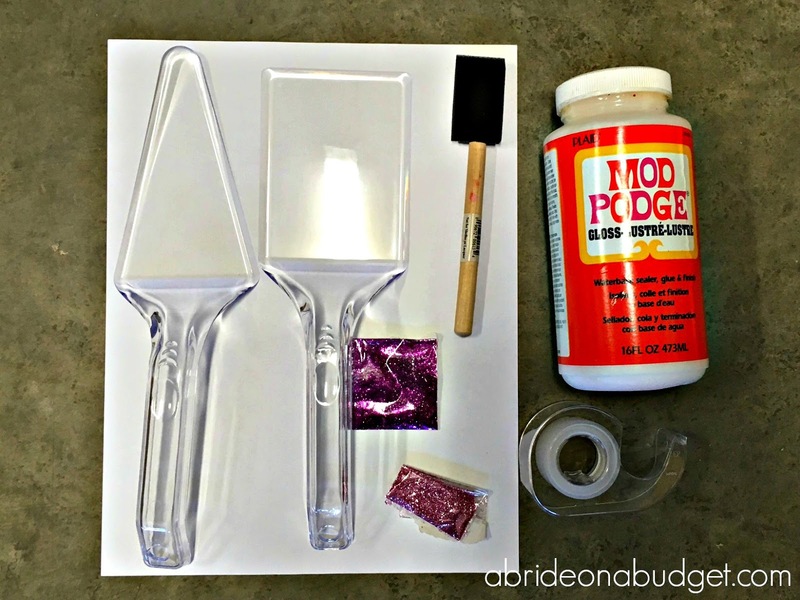 Carefully pour glitter over the Mod Podge. I put a sheet of paper under the cake server and cake knife to catch the excess glitter. You can then roll the paper and put the glitter back into the package or tube it came from. Let the Mod Podge dry completely. 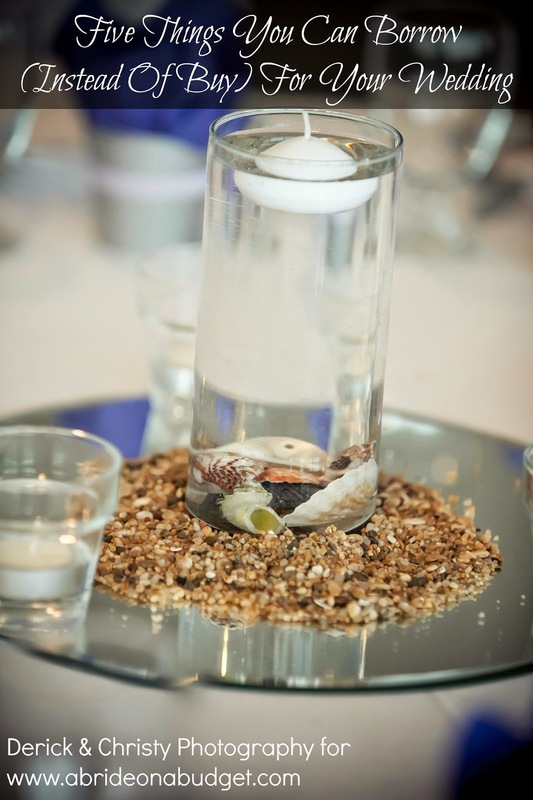 It's best to leave it overnight, if you have the time. Paint a layer of Mod Podge over the glitter. This is why you want to let it dry overnight. If you don't, you run the risk of the top coat of Mod Podge wetting the bottom coat and then removing the glitter. This top layer is completely necessary. It traps the glitter and means that when you grab it, you won't get glitter on your hands. That means you also won't get glitter on your cake either. The next day, peel off the tape and you will see a beautiful straight line. 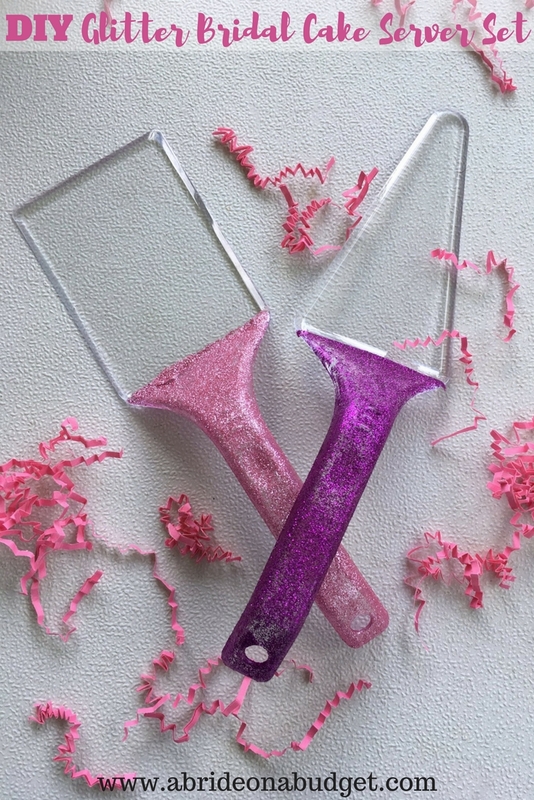 I made the cake server and cake knife different shades of pink, making them perfect if you have pink as a wedding color or if you're hosting a bridal shower. 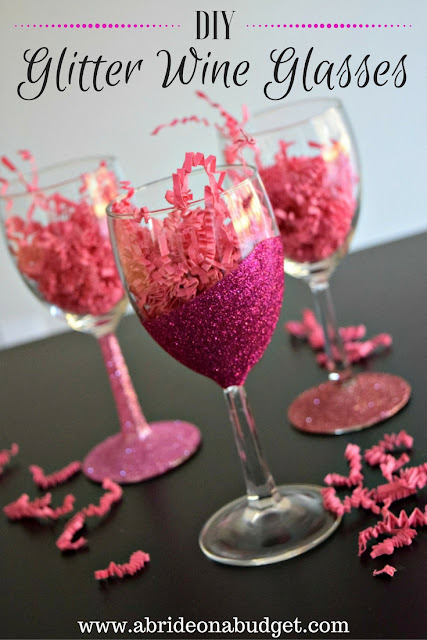 You could actually do something similar to make matching toasting flutes as well. 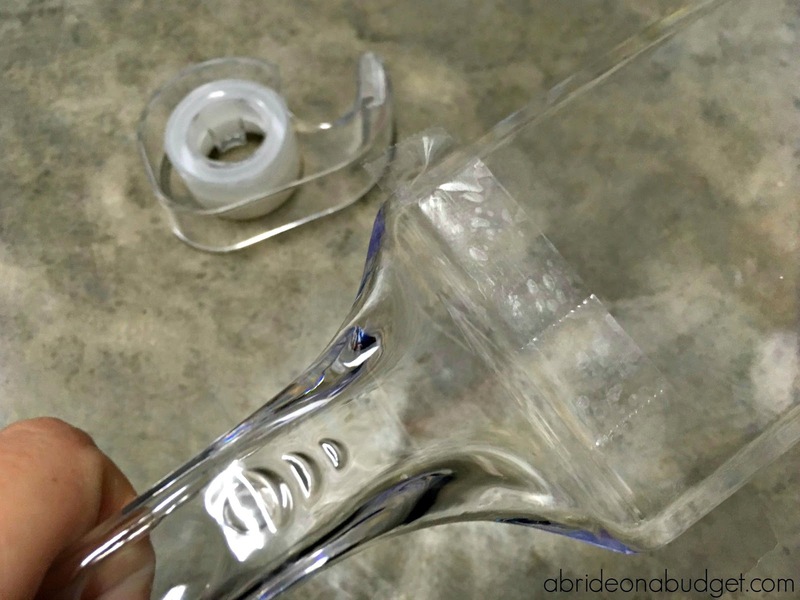 Just follow our tutorial on how to make glitter wedding glasses. BRIDAL BABBLE: Would you make this DIY Glitter Bridal Cake Server Set?